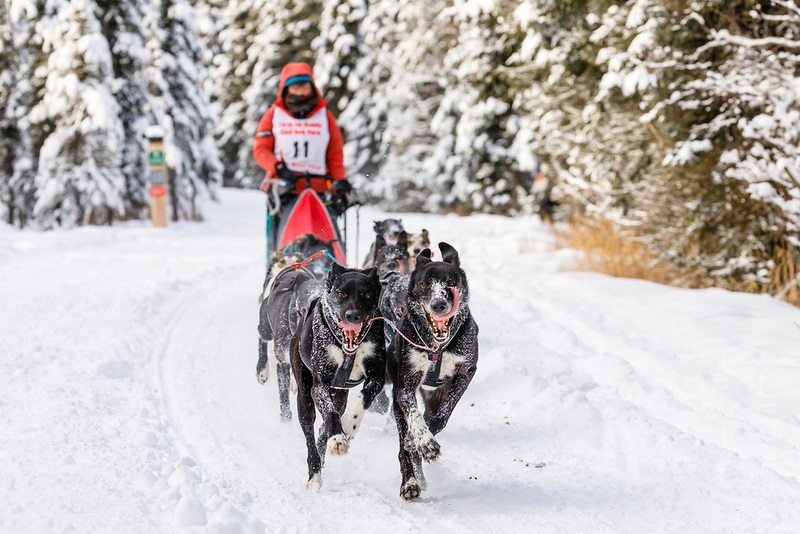 Musher Emilie Entrikin competing in the Fur Rendezvous World Sled Dog Championships at Goose Lake Park in Anchorage in Southcentral Alaska. Winter. Afternoon.